proALPHA CA-Link ensures lossless information flows when commercial and CAD data are exchanged between the engineering department and other divisions. This helps avoid errors and reduce cycle times. Engineering data provide the basis for many business processes. They are automatically transferred from the CAD system to the ERP software by means of CA-Link. Additional interfaces and applications for product data management (PDM) and product lifecycle management (PLM) are no longer required. Viewers allow all departments to access CAD data and display them as bills of materials or interactive 3D models. This not only avoids inquiries but also makes room for creativity in engineering. When designing a component, engineers not only have to take technical parameters into consideration but also managerial factors such as prices and procurement times. 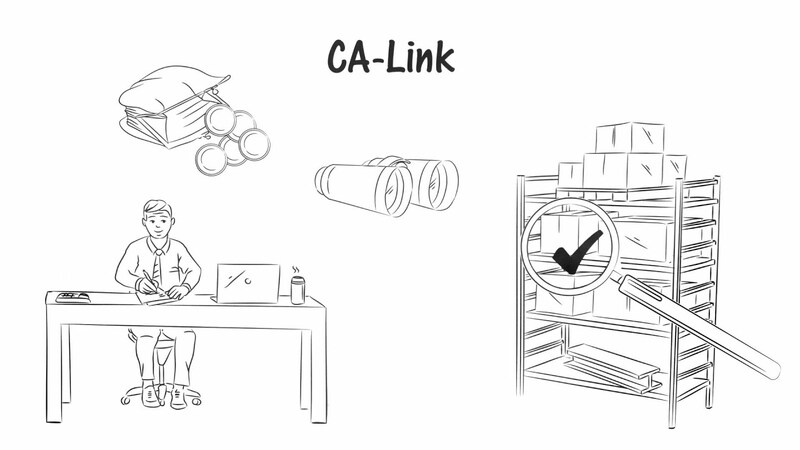 CA-Link helps engineers meet all criteria by making ERP data available in their CAD environment. They can draw on relevant part information, including prices and procurement times. CA-Link automatically transfers CAD data to proALPHA. As a result, 3D and 2D CAD models, technical drawings and bills of materials created in the engineering process can be used in follow-up tasks. The ERP system acts as the product data management (PDM) and product lifecycle management (PLM) system. Redundant data and high-maintenance interfaces are avoided. proALPHA CA-Link creates a consistent data and information flow between engineering and proALPHA ERP. Integrated viewers allow employees in purchasing, sales, assembly and service to access 3D and 2D CAD models and bills of materials. Since all departments work with a central database, errors are avoided and cycle times reduced. proALPHA Workflow Management automatically sends notifications in case of changes or expansions. Relevant documents such as bills of materials and correspondence can be compiled in product files and stored at a central location. Since any modification made to a component is logged, all changes to CAD documents, bills of materials and production processes can be traced at any time.